A Specialist Plastic Surgeon is a Surgeon who has a Fellowship of the Royal Australasian College of Surgeons in Plastic and Reconstructive Surgery [FRACS (Plast)]. The distinction ‘FRACS’ however represents more than a Surgical Qualification, it assures the public that the Surgeon is trained to the highest standards and offers a guarantee of surgical safety. The Royal Australasian College of Surgeons (RACS) is the only professional body recognised by the Australian Medical Council (AMC) and the Medical Council of New Zealand (MCNZ) to train Surgeons in Australia and New Zealand. The AMC and MCNZ ensure that the standards of education, training and assessment of the medical profession promote and protect the health of the Australian and New Zealand Communities. You can find out more by visiting their websites. It is scary to know that a doctor can assume the title ‘cosmetic surgeon’ without any training in surgery. In fact, it may surprise people to know that in Australia and New Zealand, anyone with only a six-year undergraduate medical degree can misrepresent himself/herself as a surgeon by assuming the title ‘cosmetic surgeon’. A ‘cosmetic surgeon’ is not recognised as a Specialist surgeon or Specialist Plastic Surgeon by any of the regulating authorities such as Medicare Australia, the Medical Board of Australia or the MCNZ. They also cannot register themselves as a surgeon with the Australian Health Practitioner Regulation Agency (AHPRA). The term ‘cosmetic surgeon’ does not represent a specialist qualification in the way the others do. For example terms such as Neurosurgeon, Cardiothoracic Surgeon, Orthopaedic Surgeon or Plastic Surgeon represent a surgeon who has undergone an additional eight to 12 years of specialist training and has obtained the FRACS qualification. It’s easy to see, however, why when the unsuspecting public is confronted with the term ‘cosmetic surgeon’ they interpret this in the same way as they would do a Neurosurgeon or a Cardiac Surgeon or a Plastic Surgeon. Specialist Plastic Surgeons have been trained to perform a large spectrum of plastic surgery procedures, but tend to narrow the focus of their practice into specific procedures in which they have particular expertise. Specialist Plastic Surgeons normally undergo extensive training in aesthetic surgery, maxillofacial surgery, paediatric plastic surgery and reconstructive surgery following trauma, burns or cancer treatment. Each branch of plastic surgery is based on the same principle of providing our patients with the best functional and aesthetic outcome. There is significant technical and intellectual overlap in the sub-specialties of plastic surgery. For example, the incision and muscle dissection used to repair a fracture of the eye socket is also used in aesthetic surgery to remove eyelid bags and excess skin. After completing the mandatory years of training in Plastic and Reconstructive Surgery, many Specialist Plastic Surgeons undertake a Fellowship to continue to gain further experience and training in specific branches of the specialty. Fellowships can be done within Australasia or abroad. Some other Surgeons use the term ‘Plastics’ in titles, such as Oncoplastic Surgeon or Facial Plastic Surgeon. Unfortunately, these surgeons are not Specialist Plastic Surgeons. The best way to determine if your surgeon is a Specialist Plastic Surgeon is to look for the initials FRACS (Plast) after their name and to check on the RACS website. 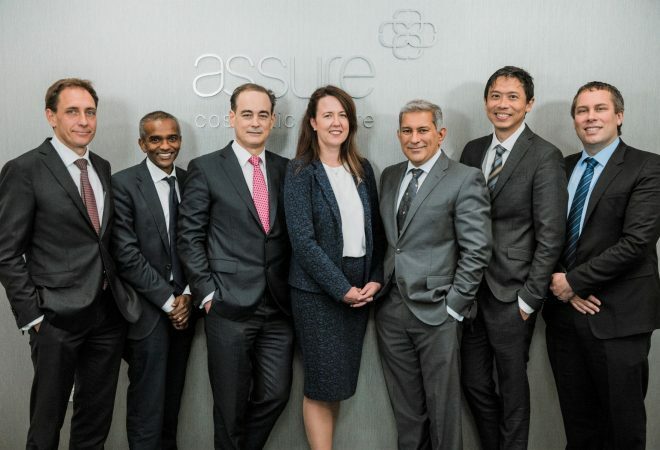 Click here to read more about why you should always choose a Specialist Plastic Surgeon to perform any type of cosmetic surgery.